Voters are looking to put America on the right track. Glenn Beck’s recent “Restoring Honor” rally in Washington, D.C., was attended by three people I know from Washington state. Three brothers — two from Spokane and one from Wenatchee — traveled together to attend the rally, not as Tea Party members, but because they believe deeply in a free society and love our country. I was interested to learn their impressions of the rally, but also to overlay their impressions with reports by national publications such as the Washington Post and New York Times, and other media coverage of the rally. The reports I received from one of the returning brothers was that the rally was very inspiring and orderly; no hand-carried signs were allowed and political advocacy was absent from those slated to speak. It was a dignified tribute to American faith, hope and charity. ABC News reported a crowd of 87,000, but simply looking at event photos showed well more than that number. Glenn Beck’s report of between “300,000 and 500,000” may be a stretch on the higher end, and Rep. Michelle Bachman’s (R-MN) assertion that a “million” attended was clearly unnecessary hype. Tea Party advocate Sarah Palin may have hit it right when she asserted “well over 100,000” were there. No matter — it was a large, committed crowd that dwarfed the competing Al Sharpton “Reclaim the Dream” march through the streets of Washington, D.C., to the site of the pending Martin Luther King, Jr. Memorial. The Washington Post’s glaring headline on Sunday, Aug. 29, focused on Beck’s comments after the rally, saying, “Beck Assails Obama’s Version of Christianity” — a cheap-shot attempt to politically color the rally and pit Beck against President Obama on religious grounds. But Beck and rally organizers were very smart not to let politics be the focus of the event — Obama was prayed for, not criticized. The rally emphasized the religious heritage of the United States and the importance of the military in the maintenance of America’s commitment to freedom around the world. Reports from attendees affirmed that substantial money was raised from the crowd to fund scholarships for children of Iraq and Afghanistan war veterans, particularly those killed in the line of duty. The New York Times story and headline, “At Lincoln Memorial, a Call for Religious Rebirth,” identified the crowd as “enormous and impassioned.” It recited Beck’s efforts to omit political commentary, and instead focus on “the good things about America.” The Spokesman-Review merely printed a Washington Post story on Aug. 29. The negative media commentary that followed the Beck rally is symptomatic of why the general public is frustrated with so many in the media and skeptical of those who try to demonize Glenn Beck and Tea Party supporters who simply don’t like where the country is headed, oppose the policies and actions of the Obama Administration and Congressional Democrats and believe in the nation’s rich religious heritage. President Obama is guilty of what Beck calls “liberation theology,” which pits one group against another in favor of the oppressed. Obama frequently employs political deflection as he tries to diminish a critic’s political point by setting up straw men and overstatements that distort an opposing view, such as when he said recently, “I can’t spend all my time with my birth certificate plastered on my forehead.” “All” your time? On your forehead? No one is calling for that, but it’s a simplistic, if unconvincing way to assert the absurd in order to avoid straight answers to fair questions. In light of polls that confirm the Democrats are in deep trouble with voters in November’s elections, Democratic Party leaders have now adopted a new election strategy as Tea Party ranks swell across the nation and primaries from coast to coast see new faces with strong fiscal and national values emerging victorious. That strategy is to suggest a split — that Republicans don’t know how to “handle” the Tea Party. Victories by candidates supported by Tea Party leaders and advocates have fed the argument that Republicans won’t be beneficiaries of the movement, even though Tea Party views often parallel most Republican views. Regardless of how the Democrats try to spin the political climate, though, Americans are, more than ever, taking out their voter anger on office holders, the majority of whom are Democrats. Most Americans rightfully fret over the staggering national debt, the dramatic expansion of government control over issues as personal as health care and joblessness, and as impersonal as our international reputation with President Obama as chief apologist. In short, more Americans are legitimately concerned about the nation’s future and Obama’s “What — me worry?” attitude as private sector job creation falters and Congress keeps spending us into oblivion, with taxes poised to go up soon. So critics of Glenn Beck’s unabashed pride in America and religious salvation testimonials, and pundits who scorn those who dare to stand up for time-tested American values such as honoring the military, private property rights and competitive free enterprise, will see on Nov. 2 whose version of the United States offers the “right track” for progress and security. I’m betting that, in the days ahead, those who embrace Tea Party values and Republican principles, like the three brothers who cared enough to journey to Washington, D.C., for two days, trump President Obama and those who have joined him on his perilous journey to the left. 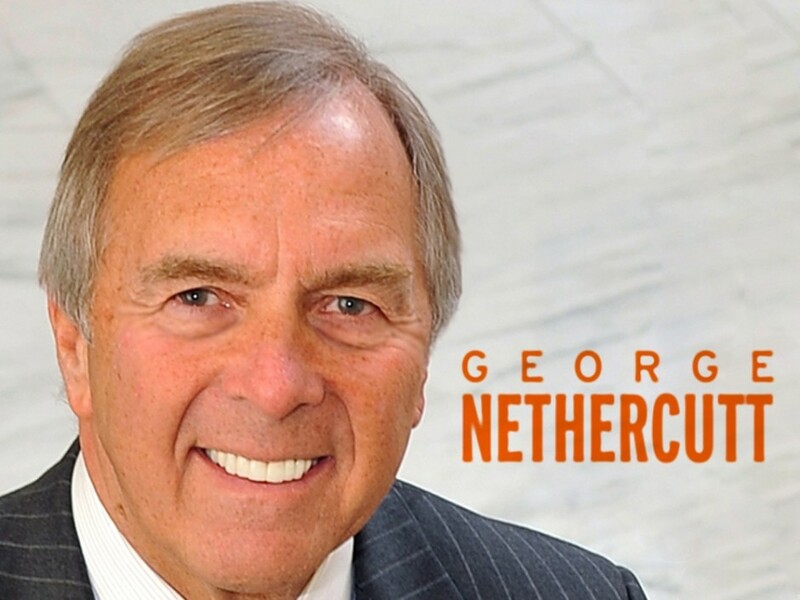 George Nethercutt is a former Congressman who represented the 5th District of Washington.